In the ever so demanding world of Real Estate, it is easy to get caught up in a state of disarray and confusion. And with such a variety of options that are available out there, who can you blame? Buyers, Sellers, Landlords and Investors alike, generally tend to lead busy work or leisurely lifestyles. And what we see, is that most of them just don’t have the spare time, to be doing interent reseacrh, or trying to manage all their real esate affairs at once. And at Hill & Viteri Property we like to like to think ourselves as different to the other agencies out there. Because we are an independent agency, and have the flexibility to cater for our clients needs, to deliver best outcomes. Our credo “Helping People Through Real Estate” backed by our core belief to always put the customer first. Has seen our clients grow healthy portfolios and build wealth through the property market. So if you are looking for a diligent and professional real estate agency? Then Hill & Viteri is your port of call. Get in touch with us now on (02) 9545-2220 or simply fill out our contact form here, and our friendly team will get back to you. With a Stellar Team of Sutherland Real Estate Agents, expect nothing but the best from Hill & Viteri. Work with us and we will show you how to build wealth through the property market. Sebastian Viteri founded Hill & Viteri Property under the Century 21 franchise model, where he had massive success earning double centurion status. Since then Sebastian has taken his knowledge and experience and gone independant with his agency. Having the freedom to work and operate how you choose, gives us the flexibility to always put the customer’s best interest at heart. Over the years, Sebastian has helped numerous households in the Sutherland Shire to earn a passive income through property. And many clients have earned themselves a lifestyle of leisure by listening to Sebastian, taking his advice and running with it. A true leader and firm believer in helping people to become successful, Sebastian Viteri proves time and time again, why Hill & Viteri Property are the Best Estate Agents Sutherland has to offer. Derin Hill was the co-founder of Hill & Viteri alongside Sebastian Viteri, where he achieved similar success under the Century 21 banner. Since Hill & Viteri became independent, Derin has been focusing more on working with customers and keeping them satisfied. With a calm and laid back approach, Derin is a master communicator and educator. 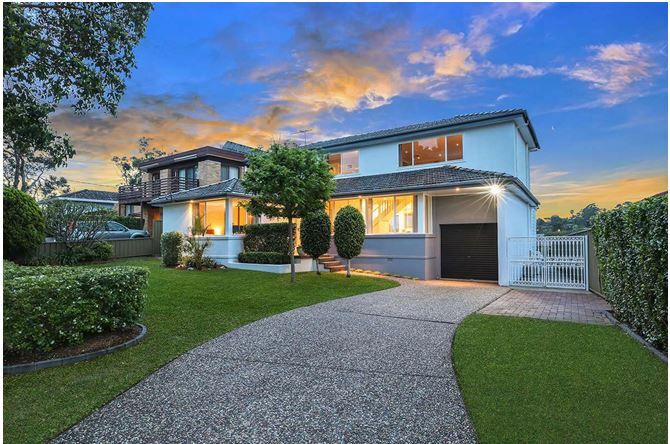 Helping his clients to reach their dreams of financial freedom in the Sutherland Shire Real Estate Market. Chris Fellas is one of our rising stars at Hill & Viteri Property. His energy and passion for real estate is contagious, and Chris thrives on getting his clients phenomenal results. Being a local and resident of the Sutherland Shire, Chris understands the property market here and is heavily involved in community activities. Equipped with the latest in digital technologies, Chris is always prepared and ready to serve his clients, and he never misses a heart beat. To find out more about our people at Hill & Viteri Property, please visit our about us page. You will find we are more than just Real Estate Agents. Let us show you why our customers stay in business with Hill & Viteri. Fill out our contact form here or simply give us a call on (02) 9545-2220.